Agios Dimitrios. 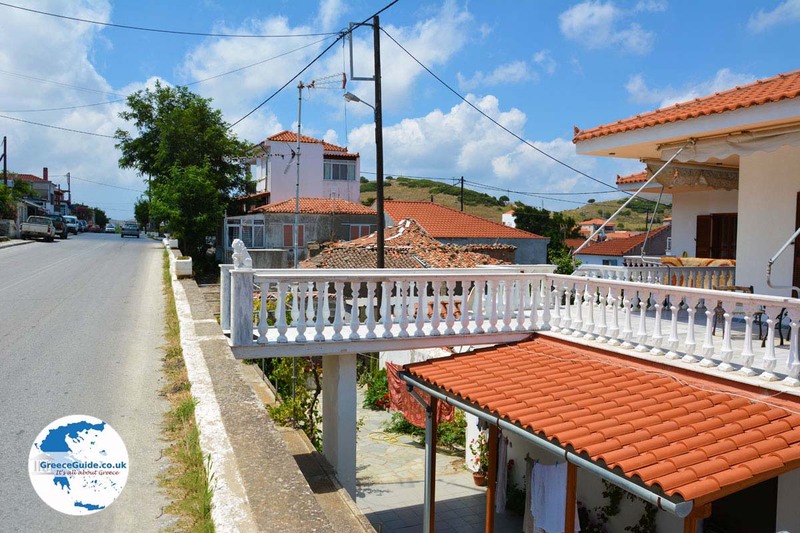 Agios Dimitrios is a village of about eight hundred inhabitants which was founded by Greek refugees from Turkey at about the same place where the medieval village Lera used to be. Over the centuries Turkish Muslims used to live here. 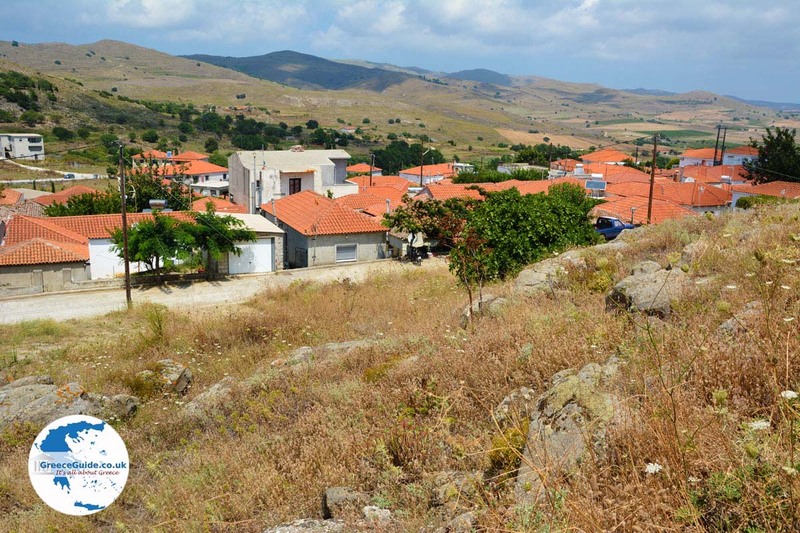 Agios Dimitrios is actually one of the newer villages of Lemnos. 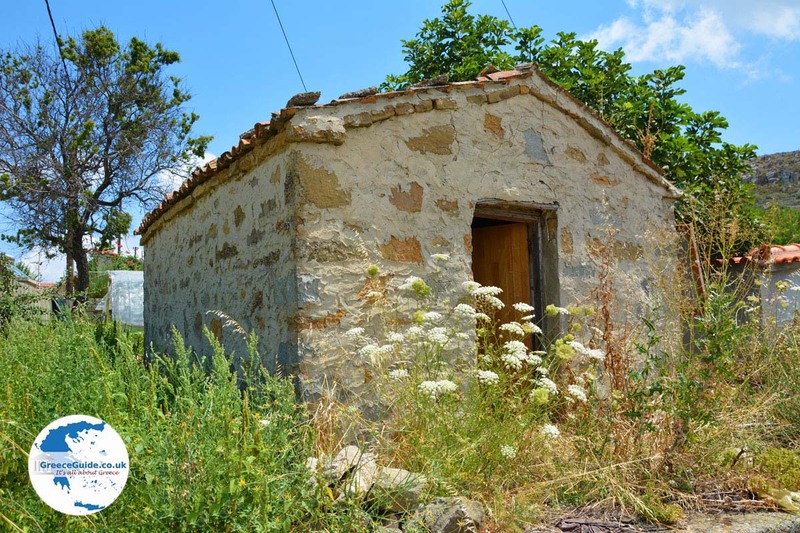 After the year 1922 and after the Greek-Turkish people exchange, the village started to grow when about 600 Greek refugees from Reisdere near Cesme (Turkey) settled here. 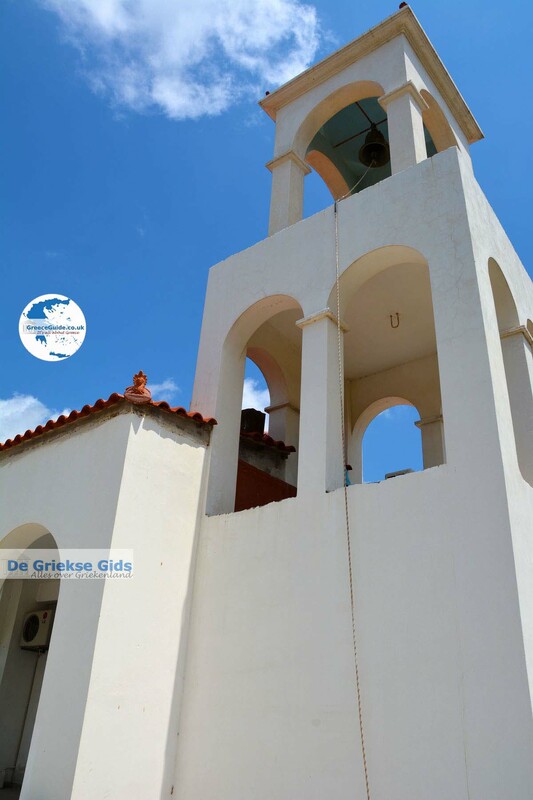 It is named after the church of St. Dimitrios who was in 'Reisdere’ and who was the patron saint of the village. 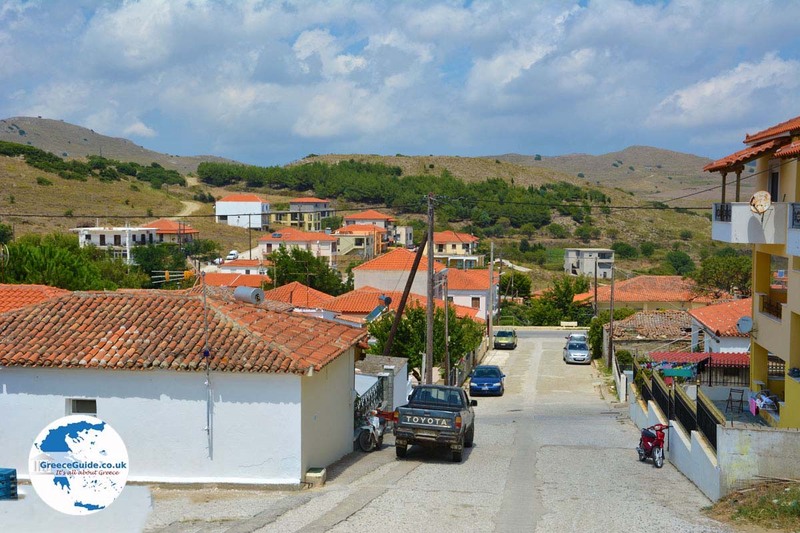 The current village has his name "Agios Dimitrios" only since the year 1947. 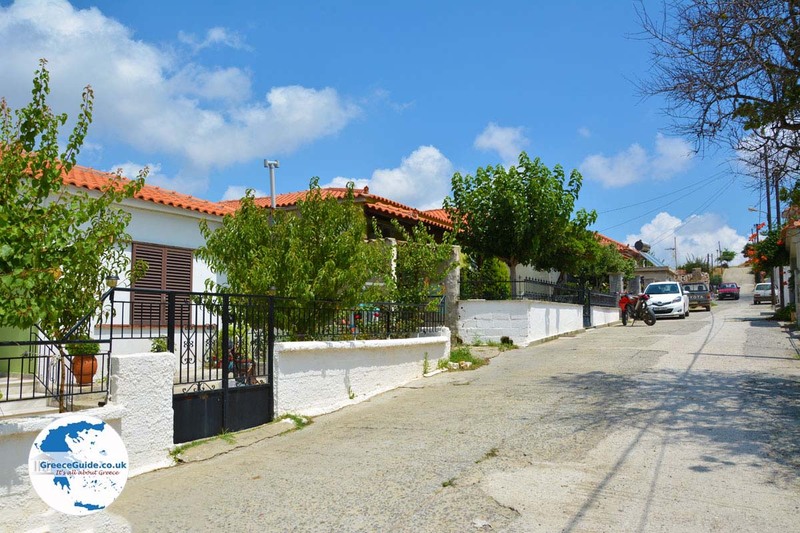 The village of Agios Dimitrios is located 10 kilometres northeast of Myrina and is within fifteen minutes accessible by car from Myrina. 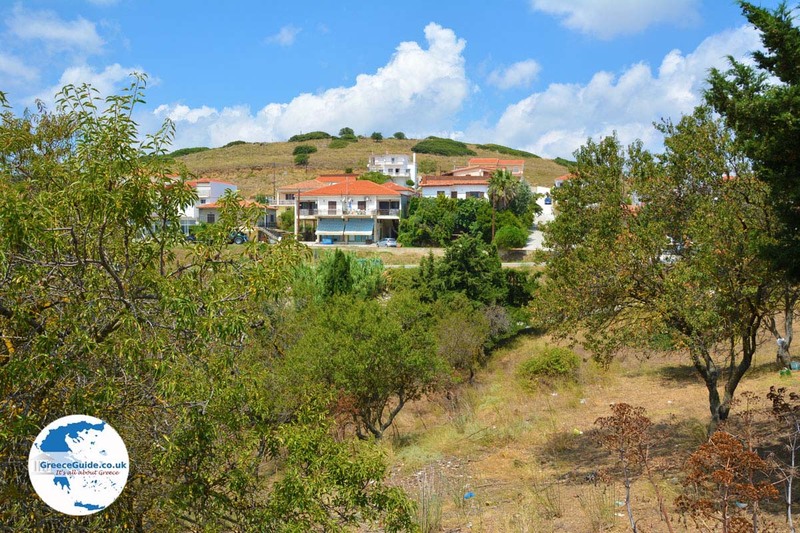 The provincial road Myrina-Moudros runs right through it. The houses have small courtyards and are decorated with flowers. 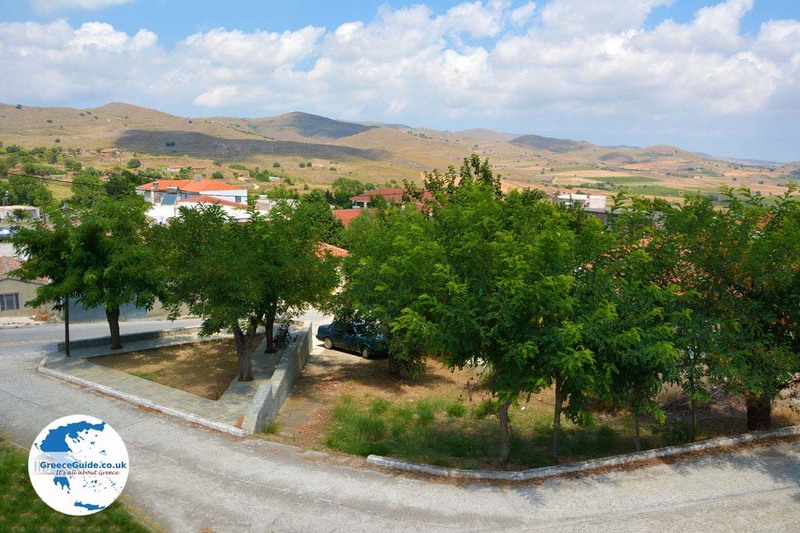 Agios Dimitrios is known for the good wine that is produced in the region; it is a white sweet wine known throughout Greece and abroad, this wine is called “Moscato Alexandrias”. 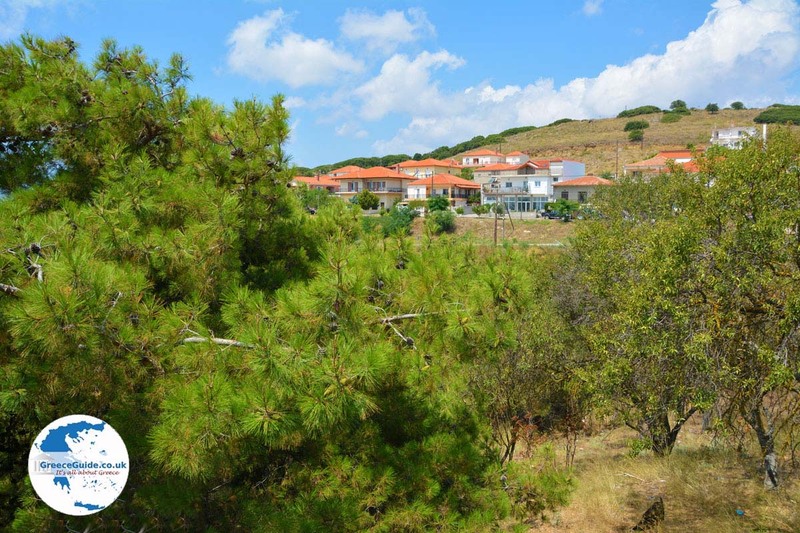 When the Greek refugees in 1925 settled here, they took from Turkey cuttings of grape plants from their land in Turkey. These were planted here, in the fields of their new homeland. 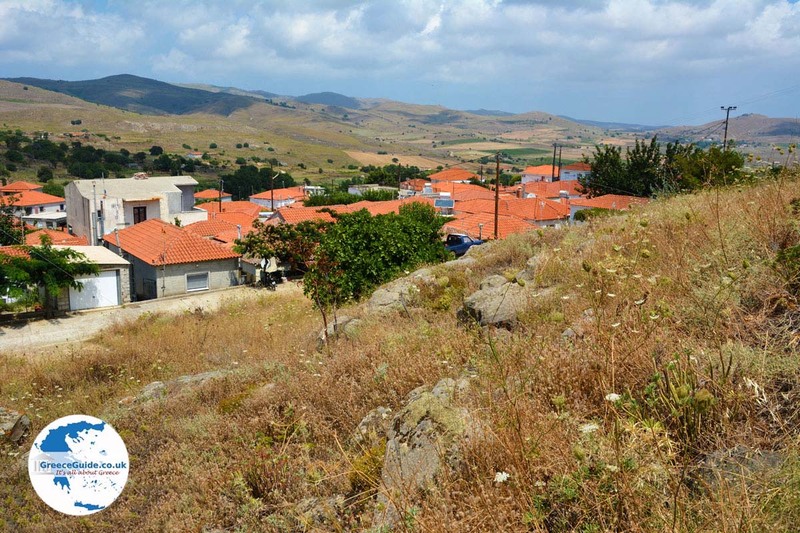 At that time, there was no wine made on Lemnos. Since then, vineyards were developed and the wine trade on the island started. Every year, wine festivals are held in Agios Dimitrios and usually in the month of August. Other festivals are the feast of the “Little Asian” and the carnival which is celebrated intensively here. 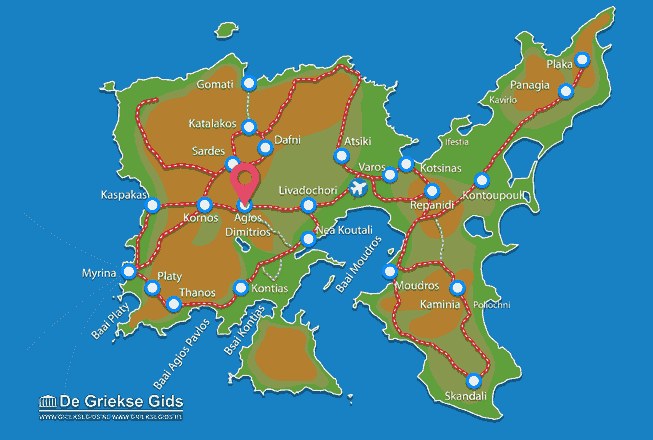 Lemnos: Where on the map is Agios Dimitrios located?